Action Figure Insider • View topic - My first DC Direct! Post subject: Re: My first DC Direct! I mix in a lot of the DC Direct GL characters (Kryb, some of the Black Lanterns, a few of the alien GL's, etc. 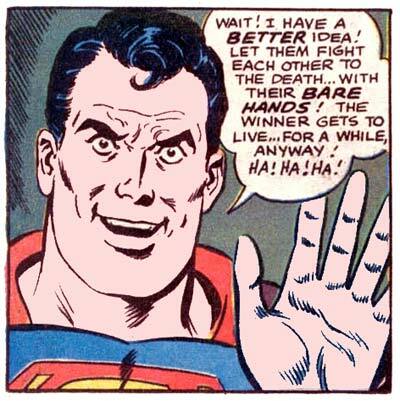 ), and a few other types (the Despero from a few years ago, Circe). I don't buy that many heroes, though, as I figure DCUC will get around to most of them. My collection is dominated by DCUC, however (about 90%). Of course, I buy just about all of the Aqua-related DCD figures and have amassed a decent collection of those (including Mera, Garth, Aqualad, Ocean Master, and of course a dozen or so Aquamen). My only chance of ever getting a Tula, Aquagirl, or Fisherman probably relies on DC Direct (and the odds are still pretty slim at that). They do work well together.I fill in my holes with DCU,but I am forever a DCD guy.Scuplts and paint used are superior IMO.I display only, so articulation means nothing to me. I display as well but I like more dynamic poses then what DCD offers. I like changing the posed scenes up on occasion. Although that Mera looks nice. Got the Flash set today! I'm chucking Flash and Kid Flash! Wow. I forgot how cool that Treadmill is as a display piece. I'm going to have to dig mine out of storage. Don't cut the Flash ring short either. I've found myself wearing it out on the town many times. Love this set. I love the Flash ring but it only fits on my pinky... yeah I have pudgy digits! But I would so be wearing it on the town if I could! That was a great set! That and the Silver Age Batman 2-packs were fantastic. 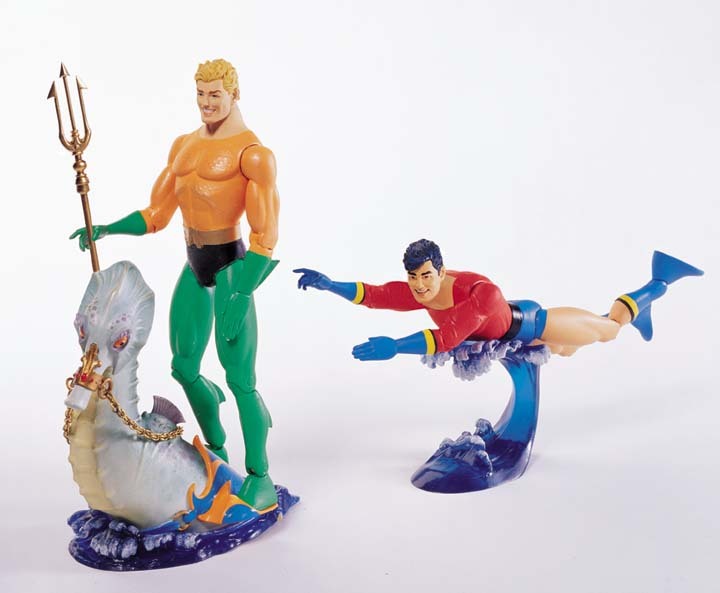 That is a great set.I have the Aquaman version with Aqualad and seahorse. mixing: These are from a while back. I've added some since these were taken. Don't ask me what Aqualad is pointing to.